There are two documented incidents that form the foundation of modern-day terrorism: the bombing of the King David Hotel in Jerusalem perpetrated by Zionist Irgun militants on July 22nd 1946 and the massacre of the inhabitants of the Arab village of Deir Yassin by Zionist paramilitaries on April 9th, 1948. Tragically, 91 men women and children were killed in the former incident and 107 in the latter. The terrorists claimed they were justified in killing civilians in order to achieve their political aim of an independent Zionist state. These acts by paramilitaries, however, were never officially approved by anyone. However, that which was officially approved by a subsequent Israeli government in a secret pact with France and Britain’s Conservative Prime Minister, Anthony Eden, in 1956, was an abortive attack on the Egyptian-owned Suez Canal. Under dire threats from the United States as to the consequences, Israel and its conspirators were forced to withdraw from that specific act of state-sponsored terrorism, chastened in the realisation that the world of colonial land grabs and subjugation of native indigenous populations, had then changed. That is, apart from in Israel. In November 1947, the Resolution of the then recently formed United Nations, (which represented substantially less than half of today’s UN Assembly), in voting by just 33 votes for the partition of Palestine, was a tragic error of the post-war years by a heavily Zionist-influenced American President. The rest is history and we now suffer the tragic consequences. The images of the dead and dispossessed after the forced establishment of the Israeli state in May 1948 – notwithstanding the public condemnation at the United Nations by all of the Arab states affected – dramatically hardened Muslim opinion throughout the world. 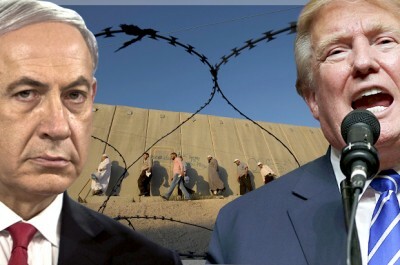 That political operation was subsequently named The Naqba, (The Catastrophe), as a result of which, the ideologies and politics of radicalisation were born throughout the Middle East, the results of which we see on our streets today, nearly 70 years later as the refugee camps holding millions of Palestinian refugees. These still grow and fester as a constant reminder of our colonial past and Israel’s post-colonial present, both of which are indelible factors in today’s political instability in the Middle East that now manifests itself in the terrorist killing of innocent civilians in London, Paris and other cities. However, this is not to apportion all blame to modern-day Israel, or even to its extreme Zionist leader, Benjamin Netanyahu. The original proponents of the colonial doctrine that helped bring about today’s violent ideology, both in Britain and in Europe, are all long since dead. We cannot turn time back but we can ensure that the UN passes a Resolution insisting on the ending of Israel’s illegal 10-year old blockade against two million civilians in Gaza and the immediate establishment of a fully independent Palestinian state with East Jerusalem as its capital. Nothing less will help erase the injustices of past colonialism. But that erasure will take at least a generation to complete from the date of its commencement. If we act now, we should see positive results in 20-30 years. The longer the Middle East is kept unstable, the longer will we and our children have to endure the tragedy of murderous terrorism on our streets. The solution lies squarely with action by the United Nations Security Council. And if the United States should (once again) use its veto to prevent UN action, then there will doubtless be continuing global consequences now and in the years to come.